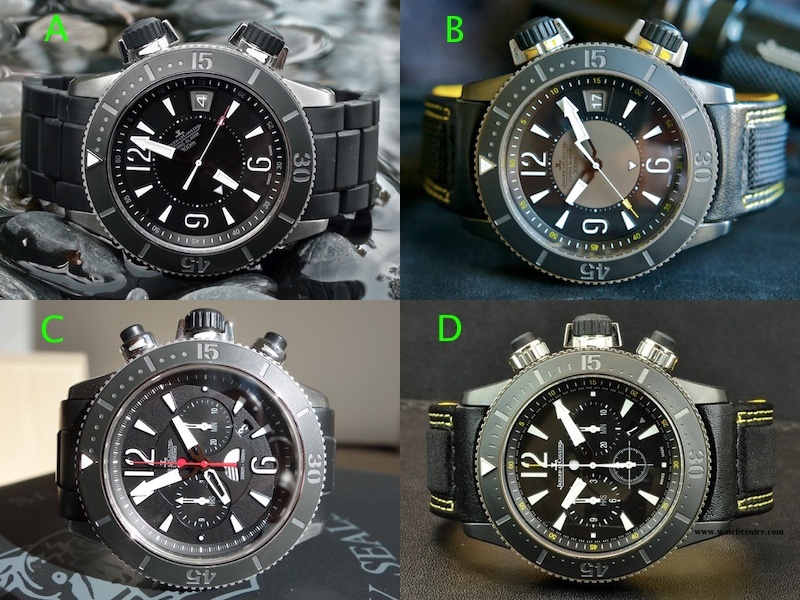 TimeZone : Public Forum » How would you rank these JLC Navy Seals models? Thinking of tracking down a JLC Navy Seals for my next watch, either the Alarm or the Chrono/GMT. How would you rank these versions (and why, if you have thoughts to share)? Thanks! Pics "borrowed" from the web.